Are you manager looking to improve your team’s productivity and collaboration. Are you trying to increase the user adoption of your shiny new Dynamics 365 (CRM) system? If the answer is yes, then you are at the right place. This month (April 2017) at the Melbourne Dynamics 365 User Group, Saif Sarwar will demonstrate one of the most exciting features of Microsoft Dynamics 365, “Gamification”. This presentation is specifically developed for non-technical users and we would like to invite all Sales Managers, Salespeople, Customer Service Representatives (CSRs), CSR Managers, Project Managers, Project Team Members, Field Service Managers, and Field Service Personnel who are current or will be future Dynamics 365 users. Learn how Microsoft Dynamics 365 – Gamification App can help boost productivity, team collaboration, and create a fun and enjoyable work environment. Microsoft Dynamics 365 – Gamification is a solution for Microsoft Dynamics 365 that enables employees to participate in individual and team-based competitions that motivate them to achieve certain pre-defined KPI’s by offering prizes, awards, privileges, and recognition. 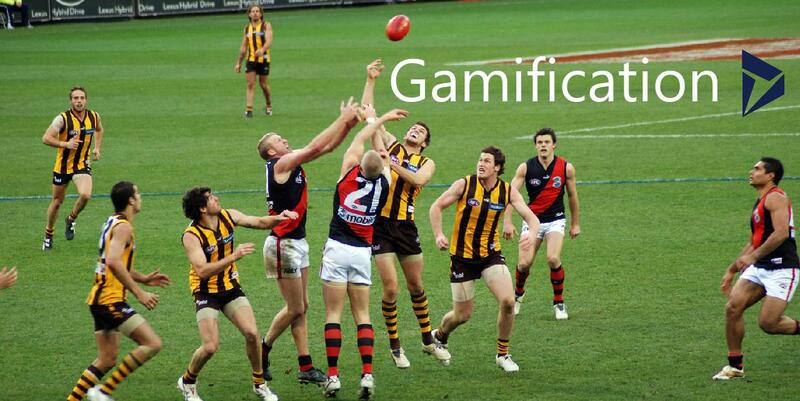 Why use the Gamification App? Humans are competitive in nature. For over 100,000 years, we have been competitive with everything we do. Since birth we compete with our siblings for more attention from parents. We’ve had countless wars and battles in all human civilizations. Human’s competitiveness is the very reason why we love our sports. Athletes needs to push them selves that little extra to get the job done. Team sports encourage collaboration within team members to achieve a common goal. Why not make use of that human instinct for our advantage? Why not create an environment that allows your employees to compete with each other and have fun at the same time. Let them compete against teams to create competitive and collaborative environment. Reward your employees for the great work their doing. Often you see the great work you do go unnoticed, which discourages you to keep going, or worse leave the organisation altogether. With the Dynamics 365 – Gamification App, you could reward your employees with awards. Every point they earn, encourages them to push harder to achieve a defined goal. Microsoft Dynamics 365 – Gamification App provides a unique solution to boost productivity, employee collaboration, and increased user adoption of your Dynamics 365 (CRM) system. To learn more and see it in action, please join us at the Melbourne Dynamics 365 User Group on April 11th, 2017.